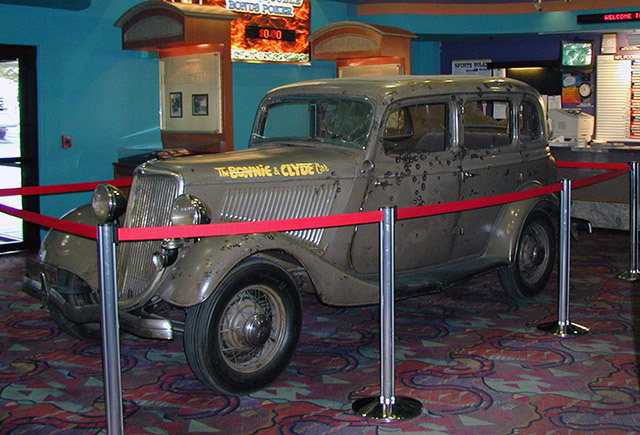 The ‘death car’ of Bonnie and Clyde, still riddled with bullet holes, has been on display ever since the notorious bank robbers were gunned down. 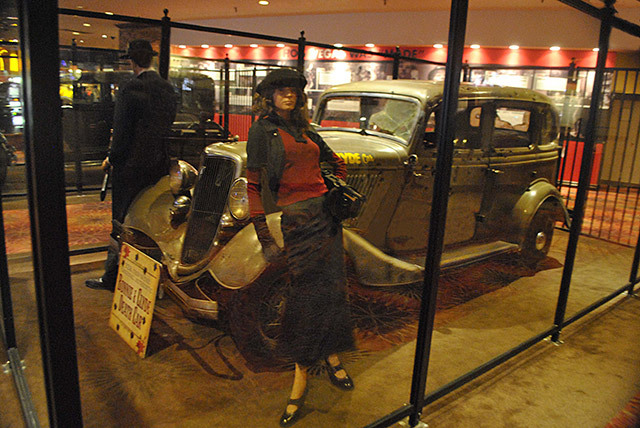 The stolen car Bonnie and Clyde were gunned down in, on display at Whiskey Pete’s Hotel and Casino in Primm, NV. 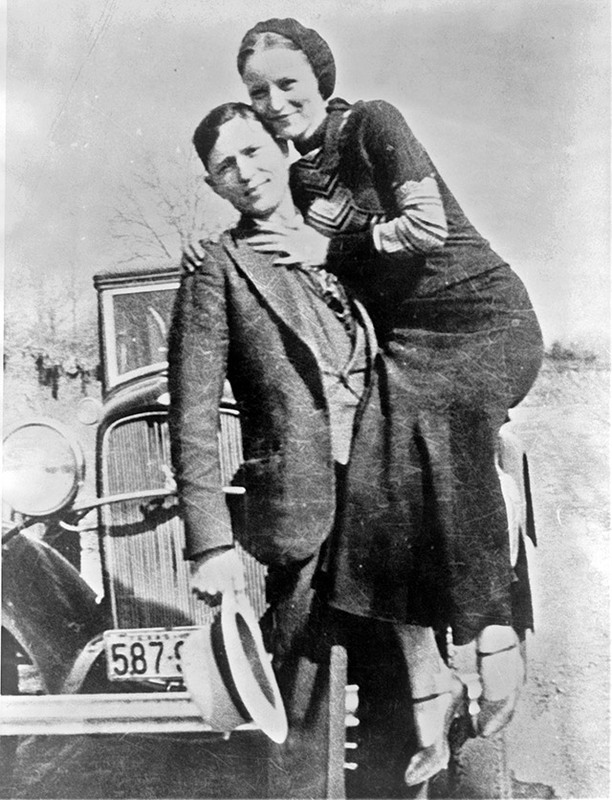 On May 23rd, 1934, Bonnie and Clyde were gunned down in their stolen 1934 Ford Model 730 Deluxe Sedan. A posse of police officers ambushed the couple, unloading 130 rounds into their car on a rural road in Bienville Parish, Louisiana. Each of us six officers had a shotgun and an automatic rifle and pistols. We opened fire with the automatic rifles. They were emptied before the car got even with us. Then we used shotguns … There was smoke coming from the car, and it looked like it was on fire. After shooting the shotguns, we emptied the pistols at the car, which had passed us and ran into a ditch about 50 yards on down the road. It almost turned over. We kept shooting at the car even after it stopped. We weren’t taking any chances. The coroner’s report listed 17 separate entrance wounds in the body of Clyde Barrow and 26 in Bonnie Parker’s. 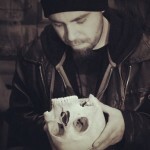 The undertaker had difficulty embalming the bodies due to all the bullet holes. 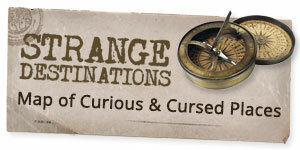 Almost immediately after the car was returned to its owner, Ruth Warren, it was leased out as a gruesome sideshow attraction and began making rounds across the country. 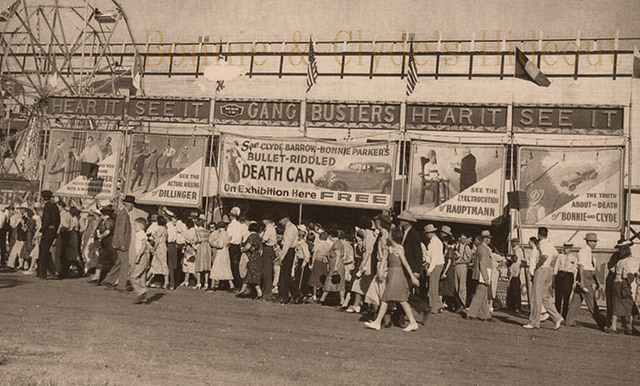 Today the actual bullet-riddled, blood-soaked death car can be seen on display at Whiskey Pete’s Hotel and Casino in Primm, NV. Clyde Barrow and Bonnie Parker c. March 1933, found by police at their hideout in Joplin, Missouri. 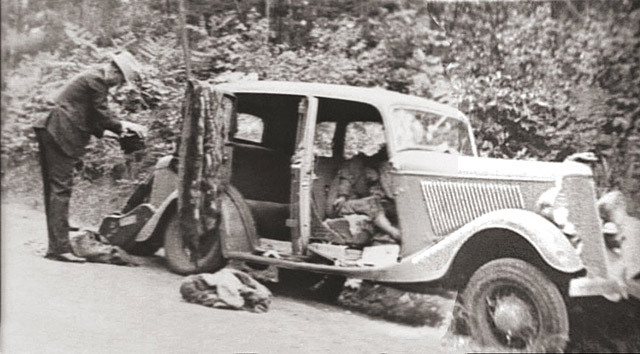 Update: Apparently there is a contender for the title of Actual Bonnie & Clyde Death Car. This is the original….the FBI were paid by Primm, Nevada owners to prove to everyone, and so they did a comparison of the ones that said they were the original, and this turned out to be the original one, and the one in the video….and anyone that needs more proof than that can compare the bullet holes in the original film, and if you think that is a conspiracy, then you need mental heath care and need to be beamed up to your original planet of coo coo bird……and now that we have that out of the way – I seen this original when it toured the country when i was about six years old in Peru, Indiana….and of course I seen it again a few times outside of Vegas in Primm….for I grew up in Vegas – the other cars, the one in the old 1967 film (I seen that in the theater) that car is in Washington D.C….and the other one that went around pretending to be the original is in the Bonnie & Clyde museum in Gibsland, Louisiana….boy there are some loony birds that posted above me….wet behind the ears, and in between them too. 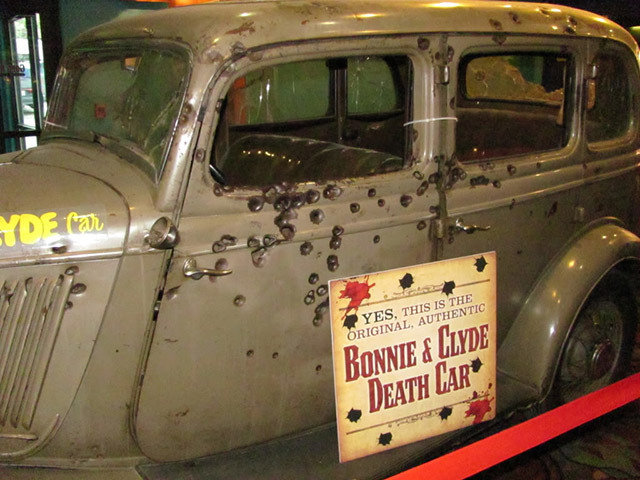 Presuming the YouTube video ‘Bonnie and Clyde’s Death Actual Footage’ is legit, can’t the ‘which car’ controversy be resolved by comparing the bullet holes in today’s preserved cars with the bullet holes visible in the video? There’s a guy by the name of Massey, that says he has the original car… That can’t be true, right??? I believe there are two are three different cars that might be the original. At this point, we may never really know. The real death car is in Whiskey Pete’s Casino in Primm Nevada. “Gunned down” is right, they hid in the bushes like hyenas and ambushed them. Oh yah! Because they didn’t deserve to die right? Are you high?